Once upon a time, a lady (let's call her Original-Chen) opened Chen's 白玉蘭 on No.3 Road which later moved to Park Road in Richmond. The Original-Chen then sold the business and opened the popular XLB stall in Crystal Mall. Years later, she sold the food court business to successor #1 (forgot its name) and opened a restaurant where the current Good Eat Seafood Restaurant 惠食佳海鲜酒家 is in Richmond. Then she gave up the restaurant location, went and bought back that same Crystal Mall stall and continued her XLB operation. 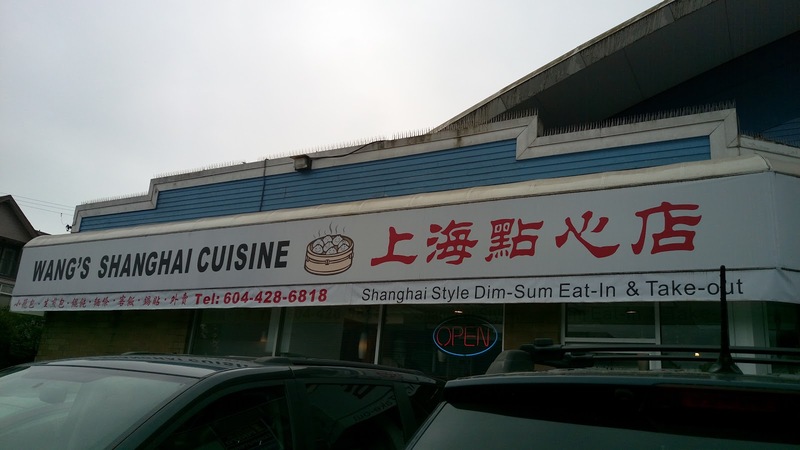 The cycle went on as Original-Chen sold the stall to successor #2 (Wang's) and opened its current Shanghai Morning Restaurant 小南國上海小吃 on Alexandra Road in Richmond. So what's the point of the story? To clarify that Wang's is NOT the original 白玉蘭. The former Wang's XLB stall at Crystal Mall was the successor who bought the business from Original-Chen, changed its English operating name but kept the Chinese. 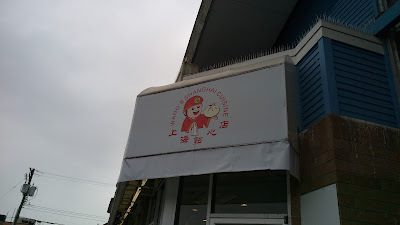 Following Original-Chen's foot steps, Wang's sold the business to the current Xu's (again, conducting the business under the same Chinese name but not the English) then hibernated before returning to the food scene by opening Wang's Shanghai Cuisine 上海点心店 next to London Drugs on Kingsway near Joyce Street. 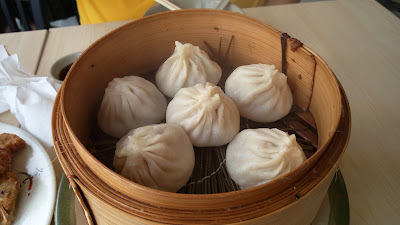 Of course, since it was famous for XLB, a couple orders of Steamed Pork Buns 小笼包 were a must. The skin was not springy but it was sturdy and attractively wrapped all the luscious stuffing. While these were not the thinnest wraps we've encountered, these were thin enough to be considered admirable XLBs. One miss was the joint twists at the top of the buns were a bit thick. The buns were juicy with ample amount of gingery pork filling that were not clumsy or lumpy. 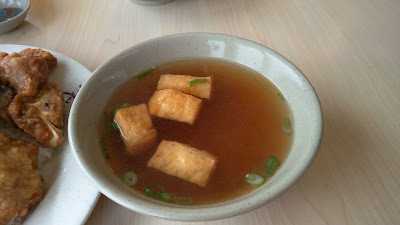 The soup was not oily but there was an odd sweetness, like a MSG-type of sweetness. At $4.75 per steamer, these were good bang for the buck. 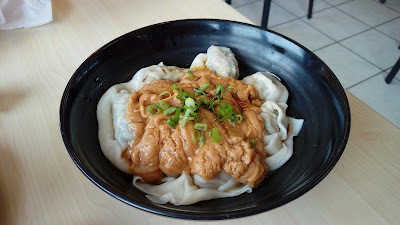 Instead of the wontons in chili sauce, Buddha Boy wanted to try the Cold Wontons with Peanut Sauce 凉拌馄饨. These were simply boiled pork wontons quickly dumped in cold water to tighten the wraps then served with an overly sweet sauce of peanut butter, soy sauce, salt, sugar, vinegar and sesame oil. The skin wraps, again, were not springy but strong enough to tightly bind the wontons. 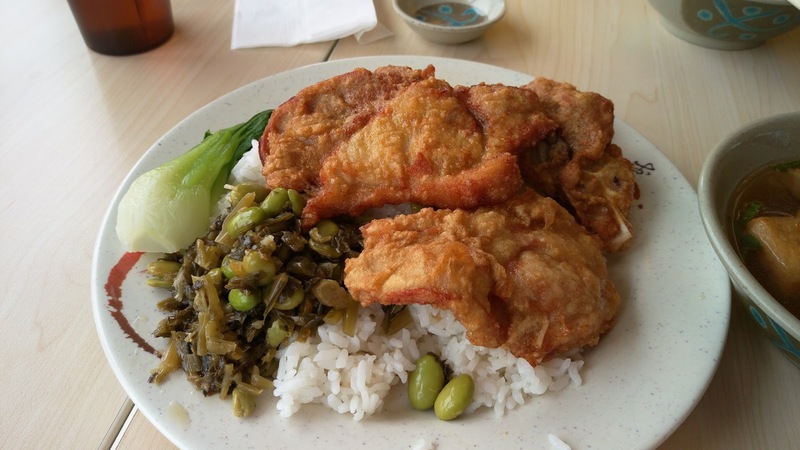 The filling was the simple and common Shanghai-style mix of pork and napa cabbage. Unfortunately, the peanut butter mix was too overwhelming that it knocked out all the desirable flavors. Honestly, I'm not really a fan of ordering a bowl of Szechuan noodles in a Shanghai restaurant, but it seems to be a local norm...so hey, why not? 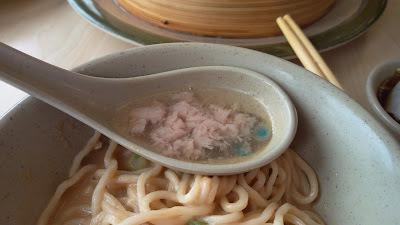 The Dan-Dan Noodles 担担面 was watery, close to a bowl of soup noodles. 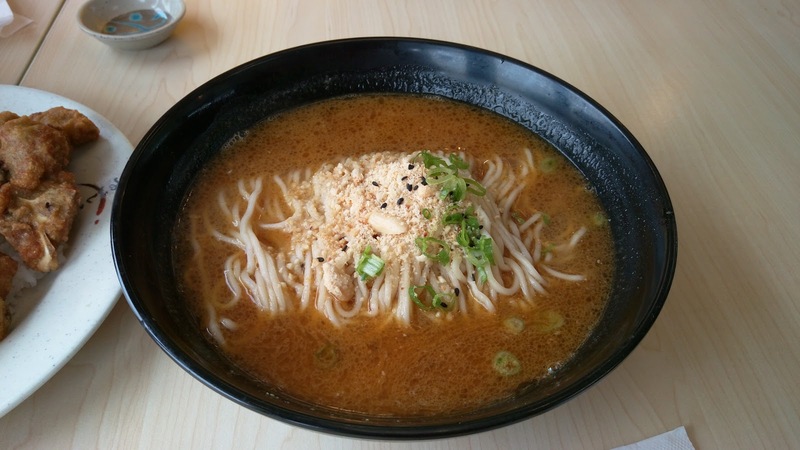 Its one-dimensional broth had only the peanutty aroma and lacked savoriness in every which way. There was a soft hint of spiciness but not enough to dress. Luckily, the noodles were al-dente. Buddha Boy's Deep Fried Pork Chop with Rice 炸猪排饭 was actually the first item that arrived and it was served quite quickly. The plate had two appreciable-size of pork chops that were lightly coated then fried to crisp. The meat was seasoned well with a gentle and moist crunch. The preserved vegetable and edamame stir-fry was a bit salty on its own but went well with rice. The bak-choy was flavorless as it was only blanched. According to the menu, Buddha Boy's rice plate had a complimentary bowl of Tofu Puff with Vermicelli Soup 油豆腐粉丝汤. The soup was simply pork broth with soy sauce, very old school. The bowl had four cubes of tofu puffs with very little vermicelli, almost next to none. I guess we shouldn't complain much since this was free. 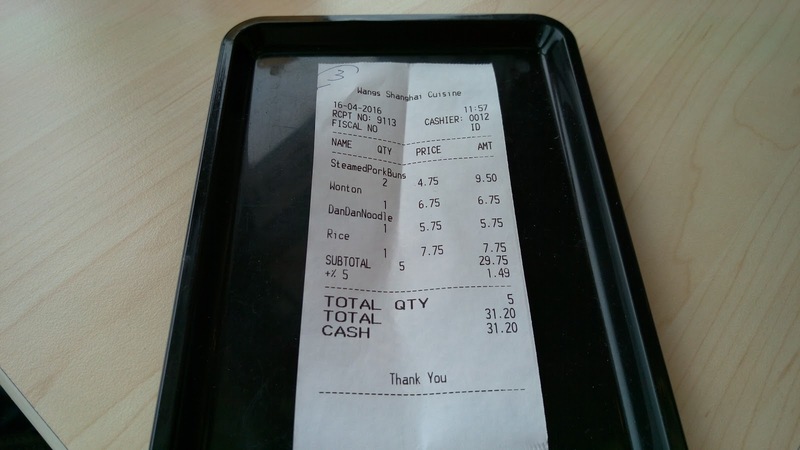 And even if we were to pay for it, it would only cost $1.50 per bowl. Service was friendly and prompt. While not the top on our list, Wang's XLBs were enjoyable. With its limited and inexpensive menu to accommodate its small 28-seater restaurant, we'd visit again to try a few more dishes.